Daniel S. Levi, MD is an Interventional Pediatric Cardiologist who has served on the UCLA School of Medicine faculty since 2003. His primary clinical role involves the use of catheters and devices to help children with congenital heart disease. Dr. Levi is active on a daily basis in the pediatric catheterization laboratory. 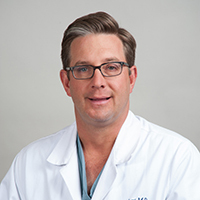 He routinely performs ASD, VSD, and PDA closures in addition to stent placement, valvuloplasties, angioplasties and even transcatheter valve replacements in both children and adults with congenital heart disease. He is internationally known for his laboratory and clinical research. He is also the director of the adult congenital interventional catheterization program and director of the fellowship program in pediatric cardiology, and is a member of the pediatric heart transplantation team. Dr. Levi earned his B.S. in Biology from Stanford (1992) and his M.D. from UCSF (1997). He was in the Medical Scientist Training Program at UCSF from 1992-1995. After Pediatrics internship and residency were completed at UCSF, Dr. Levi completed his pediatric cardiology fellowship and pediatric interventional cardiology sub-specialization at UCLA. He is board certified in Pediatric Cardiology by the American Academy of Pediatrics, he is the recipient of the Gerd Hausdorf Pediatric Research Award and is director of the Congenital Program of the Society for Cardiac Angiography and Interventions (SCAI) annual program. His laboratory research centers on the development of novel pediatric stents and other devices made from nano-synthesized "smart" materials such as thin film nitinol. Dr. Levi is been the recipient of grants from the National Institute of Health (NIH), National Science Foundation (NSF), the American Heart Association (AHA), the Paige Foundation and multiple other foundations and agencies. He has over 100 publications and abstracts - some select publications from Dr. Levi's laboratory are listed below. Dr. Levi is also very active in philanthropy work as well. He is on the board of Camp Del Corazon and Hearts With Hope. He goes to Peru once or twice a year to perform procedures on children with congenital heart disease and he also volunteers as ôcamp doctorö at Camp del Corazon. Levi D, Moore JW. Embolization and Retrieval of ASO Devices. Catheterization and Cardiovascular Interventions 2004, 61(4): 543-7. Levi DS, DeConde AS, Burch C, Alejos JC, Wetzel G. The Yield of Endomyocardial Biopsy as a Screen for Cellular Rejection in Pediatric Heart Transplant Patients. Pediatric Transplantation 2004, 8(1):22-28. Leman NR, Levi DS, Alejos JC, Wetzel GT. Predictors of Graft Longevity in Pediatric Heart Transplantation. Pediatric Cardiology 2005, 26(6):762-7. Dannon SM, Levi DS, Alejos JC, Moore JW. Reliable Atrial Septostomy by Stenting of the Atrial Septum. Catheterization and Cardiovascular Interventions 2005, 66(3):408-13. Levi DS, Raff E, Stepan LL, Liu J, Williams RJ, Moore JW, Carman GP. Use of a Covered Stent Modification to Produce a Transcatheter Heart Valve: Laboratory and Animal Testing. ASAIO 2005, 51:719-724. Stepan LL, Levi DS, Carman GP. A Thin Film Nitinol Heart Valve. Journal of Biomechanical Engineering 2005, 127(6): 915-918. Tan CA, Levi DS, Moore JW. Percutaneous Closure of Perimembranous VSD Associated With a Ventricular Septal Aneurysm Using the Amplatzer Ductal Occluder. Catheterization and Cardiovascular Interventions 2005, 66(3):427-31. Perens GS, Shannon KM, Levi DS, Drant S. Successful Treatment of Eosinophilic Effusions Following Congenital Heart Surgery. Pediatric Cardiology 2006, 27(1):168-9. Williams RJ, Levi DS, Liu J, Moore JM, Boechat I. The Appearance of Pediatric Transcatheter Devices on Chest X-Ray. Pediatric Radiology 2006, 36(12):1231-41. Behera SK, Danon S, Levi DS, Moore JW. Transcatheter closure of coronary artery fistulae using the Amplatzer Duct Occluder. Catheter Cardiovasc Interv 2006, 68(2):242-8. Mitropoulos FA, Laks H, Kanakis M, Levi DS. Aorto-Left Ventricular Tunnel: An alternative surgical approach. Annals of Thoracic Surgery 2006, 82(3):1113-5. Peterson R, Levi DS, Li W, Sklansky M, Drant S. In Utero Predictors of Outcomes for Fetal PAIVS. Journal of the American Society of Echocardiography (ASE) 2006, 19 (11): 1393-400. Chan JB, Levi DS, Lai C, Alejos JC, Fishbein MC. Cellular rejection of the conduction system after orthotopic cardiac transplantation for congenital atrioventricular block. Journal of Heart and Lung Transplantation 2006, 25:1371-1375. Levi D, Glotzbach JP, Williams RJ, Myers JL, Laks H. Right Ventricular Outflow Tract Transannular Patch Placement without Cardiopulmonary Bypass. Pediatric Cardiology 2006, 27(1):149-155. Perens G, Levi DS, Alejos JC, Wetzel GT. Muronomab-CD3 for Pediatric Acute Myocarditis. Pediatric Cardiology 2006, 28(1):21-6. Casarez T, Levi DS, Perens G, Williams R, Kutay ED, Fishbein MC, Alejos, JC. Humoral Rejection in Pediatrics. JHLT 2007, 26(2):114-9. Stepan LS, Levi DS, Gans E, Mohanchandra KP, Ujihara M, Carman GP. Biocorrosion Investigation of Two Shape Memory Nickel Based Alloys: Ni-Mn-Ga and Thin Film NiTi. Journal of Biomedical Materials Research 2007, 82(3):768-76. Aboulhosn J, Danon S, Levi DS, Castellon Y, Child JS, Moore JW. Regression of Pulmonary Arterio-Venous Malformations after Transcatheter Reconnection of the Pulmonary Arteries in Patients with Unidirectional Fontan. Congenital Heart Disease 2007, 2(3):179-184. Mitropoulos FA, Laks H, Kapadia N, Gurvitz M, Odim J, Levi D, Moore J, Plunkett M. Intraoperative Pulmonary Artery Stenting. An Alternative Technique for the Management of Congenital Pulmonary Artery Stenosis in Adjunct with Surgical Repairs. Annals of Thoracic Surgery 2007, 84(4):1338-41. Geiger MK, Harake DE, Halnon N, Alejos JC, Levi DS. Screening for Rejection in Symptomatic Pediatric Heart Transplant Patients: the Sensitivity of BNP. Pediatric Transplantation 2008, 12(5):563-9. Behera SK, Trang J, Drant S, Levi DS, Alejos JC. Elevated Doppler Tissue Imaging-Derived Indices Reflect Cellular and Humoral Rejection in Pediatric Heart Transplant Recipients. Pediatric Transplantation 2008, 12(2):207-14. Gordon BM, Fishbein MC, Levi DS. Polytetrafluoroethylene Covered Stents in the Venous and Arterial System: Angiographic and Pathologic Findings in a Swine Model. Cardiovascular Pathology 2008, 17:206-211. Levi DS, Williams RJ, Stepan LS, Mohanchandra KP, Fishbein MC, Carman GC. Thin Film Nitinol Covered Stents:Design and Animal Testing. ASAIO 2008, 54(3):221-6. Gordon BM, Fishbein MC, Levi DS. Serial Redilations of Polytetrafluoroethylene Covered Stents in a Porcine Aorta: A Comparison to Uncovered Stents. Catheterization and Cardiovascular Interventions 2008, 72(3):400-7. Gordon BM, Levi DS, Shannon KM. Electrosurgical energy in combination with a transseptal needle: a novel method for the creation of an atrial communication in hypoplastic left heart syndrome with intact atrial septum. Catheterization and Cardiovascular Interventions 2009, 73(1):113-6. Chun YJ, Levi DS, Mohanchandra KP, Vinuela F, Vinuela F, Carman GP. Thin Film Nitinol Microstent for Aneurysm Occlusion. Journal of Biomechanical Engineering 2009, 131(5):051014-1-8. Levi DS, Bryan T, Scott VC, Plunkett M. Preferential Use of "Off Pump" Glenn Shunts: A Single Center Experience. Congenital Heart Disease 2009, 4(2):81-5. Levi DS, Danon S, Gordon B, Virdone N, Vinuela F, Shah S, Carman G, Moore JW. Creation of Transcatheter Aortopulmonary and Cavopulmonary Shunts Using Magnetic Catheters: Feasibility Study in Swine. Pediatric Cardiology 2009, 30(4):397-403. Seltzer S, Levi DS. Use of Interlock Fibered Detachable Coils for Occlusion of Collaterals, Coronary Artery Fistula and PDAs. Catheterization and Cardiovascular Interventions 2009, in press. Mohan U, Danon S, Levi DS, Connolly D, Moore JW. Stent Implantation for Coarctation of the Aorta in Children less than 30 Kg. Journal of the American College of Cardiology (JACC) 2009, in press.